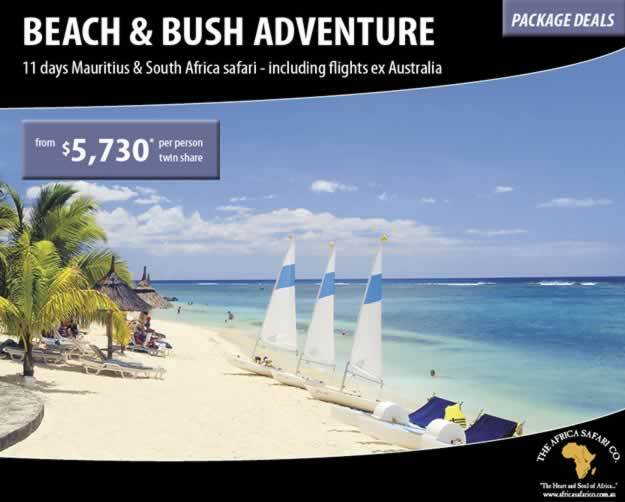 Mauritius - The Africa Safari Co. The small volcanic island of Mauritius is simply beautiful—situated in the warm Indian Ocean, surrounded by magnificent coral reefs and an abundance of exotic and colourful sea life. Superb beaches and lush, subtropical forests, craters and basalt rocks litter the island. The climate is pleasant throughout the year but tropical cyclones may occur between December and March. The hotels offer a paradise holiday with excellent amenities, superb cuisine and every type of entertainment facility imaginable. Most hotels offer water skiing, windsurfing, snorkelling, parasailing, rides on glass-bottom boats and much more.